"We don’t really know how to improve diversity, and rely on guesswork. Rigorous evidence can help change that." "Diversity and inclusion must be expected, not simply accepted. The results are clear - better insights, better decisions, better products that differentiate a company." "I really believe you have to measure what matters. At Cisco, to see what works and what doesn't for D&I, we measure everything and benchmark against peers." "By analyzing industry data on underrepresented groups, and examining patterns… we can better manage the problems and risks in our organizations." Our Diversity and Inclusion technology provides you with everything you need for workplace Diversity and Inclusion management, to get better results faster. See the top 3 states for participation of women in executive, managerial and the total workforce per 2015 EEOC data. 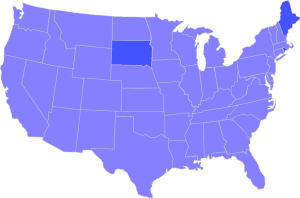 View on desktop to see all states on an interactive map. Visit this site on desktop to see data from all states on an interactive map!